The VYCC is a nonprofit youth, leadership, service, conservation and education organization whose mission is to teach individuals to take personal responsibility for all their actions. Corps Members are placed on small teams under highly trained leaders to complete high priority conservation projects. The work and living experience is intensive and many Corps Members reflect upon it as a life changing experience. 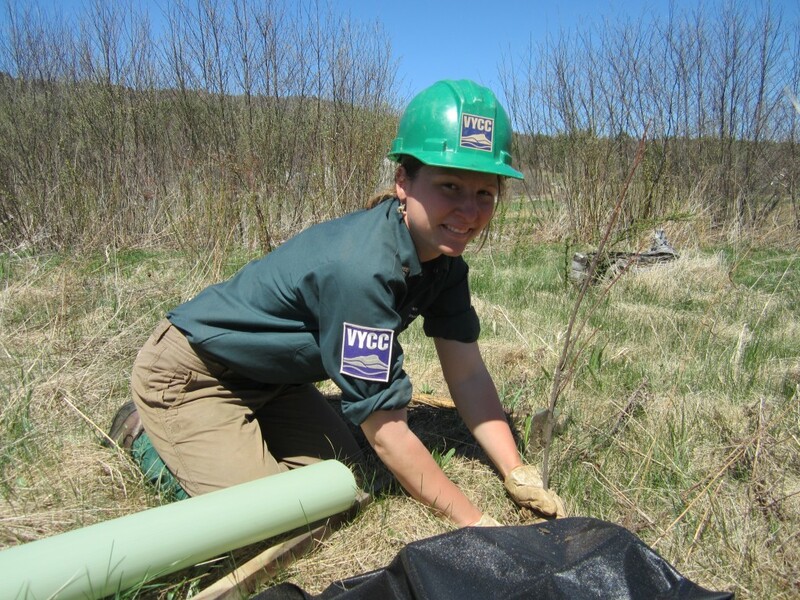 “[The VYCC] is a really cool way to see Vermont and learn about rivers and trails,” states 2013 Corps Member Ella Wegman-Lawless at the completion of her service term. She was most proud of, “the moments when we talked to each other kindly and worked together well, fueling each other’s ideas instead of putting them down.” Her teammate, Martin Badot, declared that his summer with the VYCC was “one of the best experiences of my life. One of the best, complete, outdoor experiences.” The opportunities that the VYCC provides to these young, emerging stewards of the land instills in them a greater awareness environmental and community issues of our day.